Who says that seafood and comfort food don't mix? CLAW in Carnaby executes a perfect crossover of the two, with a convivial atmosphere and friendly staff thrown in. 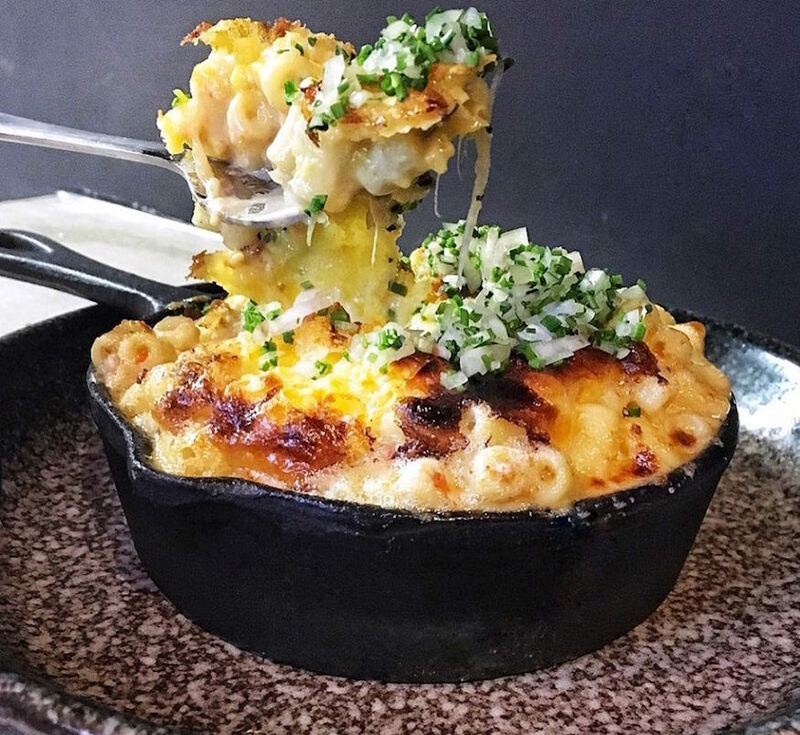 The crab mac & cheese is the signature dish, and more than earns its place at the top of the menu. Deliciously oozy raclette spreads itself over tender crabmeat, the stringy cheese stretching with each forkful. Even on a summer day, it's delightful, and the comfort factor will only increase as *whisper it* chillier days come back around. The menu suggests going for three dishes per person, but do ask staff for recommendations before you order. Our waiter proposes sharing one of those mac & cheese dishes between us, rather than one each, and halfway through the pot of rich, cheesy goodness, we're grateful for his intervention. 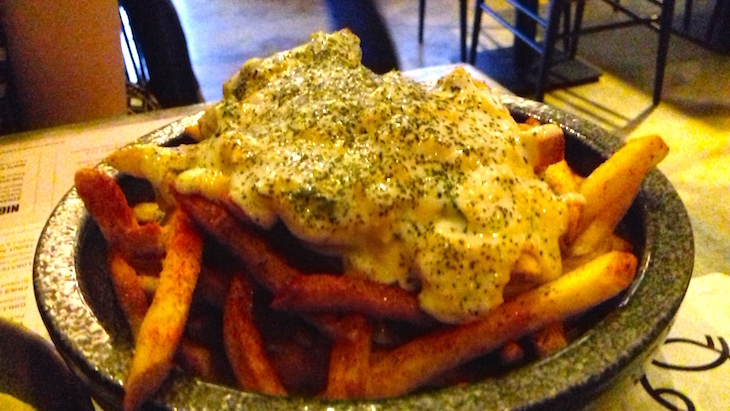 The crab on fries, too, easily feed at least two people with just one portion. The crab roll is another signature dish, and texturally, it's spot on, with the crunchy bread perfectly setting off the soft and tender meat perfectly. The fridge-cold meat is a bit of an odd juxtaposition to the warm bread, but it doesn't prevent us polishing the lot off — again, we split one between two of us, and find it ample. Despite the restaurant's name, there are some non-seafood dishes on the menu. 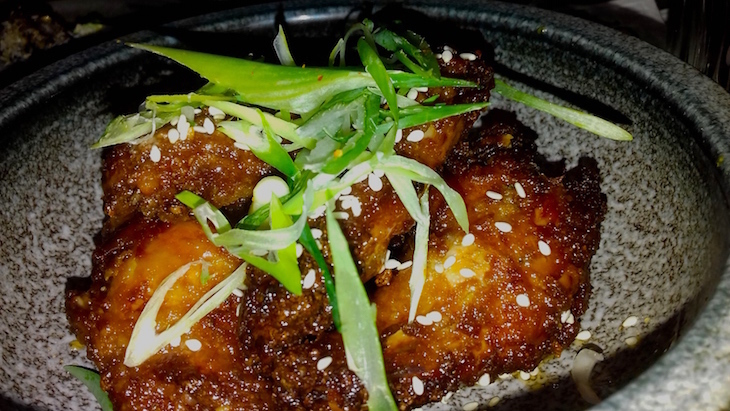 The chicken wings are a highlight, the tender meat falling off the bone, the sesame and caramel coating addictive but very sweet — and therefore not a good pairing with the extremely bitter crab on fries. The grilled broccoli is also a hit, as much as vegetables can be when comfort food is the order of the day.